How To Read My Friends Messages On Facebook: Whether young or old, everybody has an account on the famous social media site - Facebook. Today, if you need to know anybody's fact you have to peep into their FB (Facebook) profiles. So allow's have a look at the 5 finest ways to have a track on your individuals and on whom you rely on thoughtlessly. It is an email simulating procedure of recognizing your youngsters' and spouse's email ids, passwords and also various other information. It is interested in generating a buffooned web-page to obtain the qualifications of your member of the family. It assists you in controlling the activities of your caring member of the family. It could be possible that someone is bothering your youngsters as well as they being innocent sufficient hesitate to share it with you. With email spoofing prevent your kids from obtaining bullied by anyone. Use this process for the benefits of your member of the family. This is an additional means of tracing your cherished member of the family by performing a keylogger data on their PCs. This is a sort of a data which lugs affected compound which is sent to the target individual, if the individual opens that particular file on his/her pc, after that whatever S/He will type on his/her system will certainly be taped and also sent out directly to you. State if your marked person types a username as well as password of any of their account that will certainly be understood to you instantaneously. Learn more about all the details of your precious ones without troubling concerning keying their proper username and password. It is one of the facet of the COMPUTER or state one of the FAVORABLE problems (at least for you) of the computer system which offers the accessibility to someone's personal computer. It survived a web server or state your private client which, when you send out to your targeted individual's PC it helps you in opening the backdoors. As when the marked individual execute the data you could easily access to his/her system-- be it of your partner or of kids you could from another location manage them with whatever incorrect they are doing or indulged right into. An additional way of mapping your targets (children or disloyalty spouse) is sniffing. Although it is a non-advisable as well as an illegal approach too to track somebody, yet you could use it to salvage your marital relationship or to prevent your youngster from going in the wrong hands. In smelling you enter into your target individual's phone or COMPUTER and explore it covertly. To know the reality of the one whom you like, occasionally it readies to be negative! Taking the assistance of a facebook spy software application is the most effective as well as the safest method to watch on your teenagers or partner. Once you purchase the software online you could download and install it to your member of the family mobile phones. 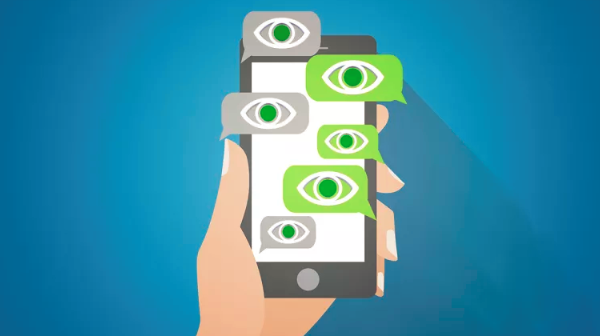 Upon the effective installment of the spyware, you can read/see/listen each and every information connected to your target individual's cellular phone. Right from the text messages, to the discussion of the messenger talks or the hearing the calls or its surrounding whatever is feasible for you. You take a look on your growing kids Facebook profile without knowing their passwords. You ought to check the reason behind their activeness on social networking websites.